Lil’ film buffs rejoice! 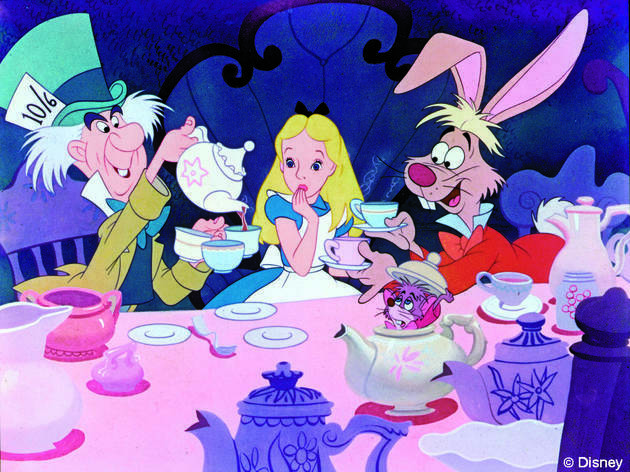 Our epic list of the very best family movies will keep your whole film-lovin' crew enchanted for as many hours as you have bags of popcorn. 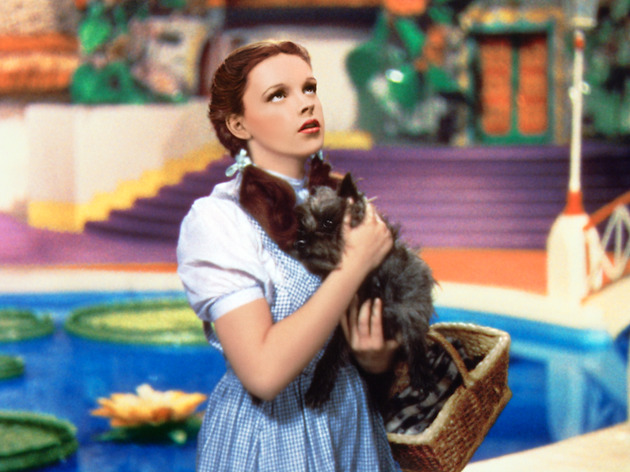 Our guide to the best kids' movies offers everything from classic animated flicks like Beauty and the Beast, The Lion King and The Little Mermaid as well as live-action kids' movies like The Wizard of Oz, Mary Poppins, The Goonies and Annie. Sure, we understand that our extensive lineup of family movies below may have excluded some of your all-time favorites—but rest assured: the competition was fierce, and each of our selections are sure to please kids of all ages. 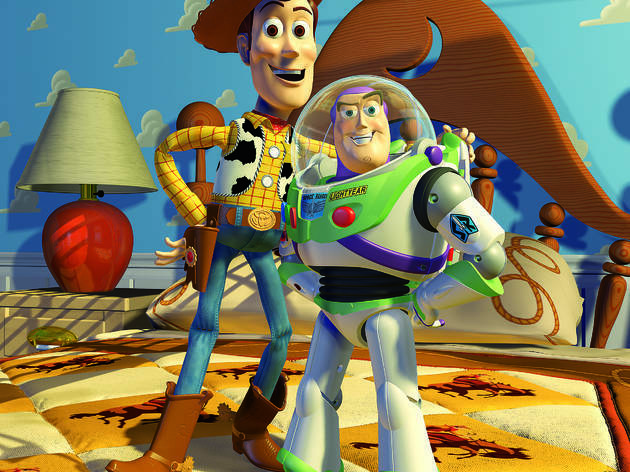 Looking for even more kids' movies to watch at home? 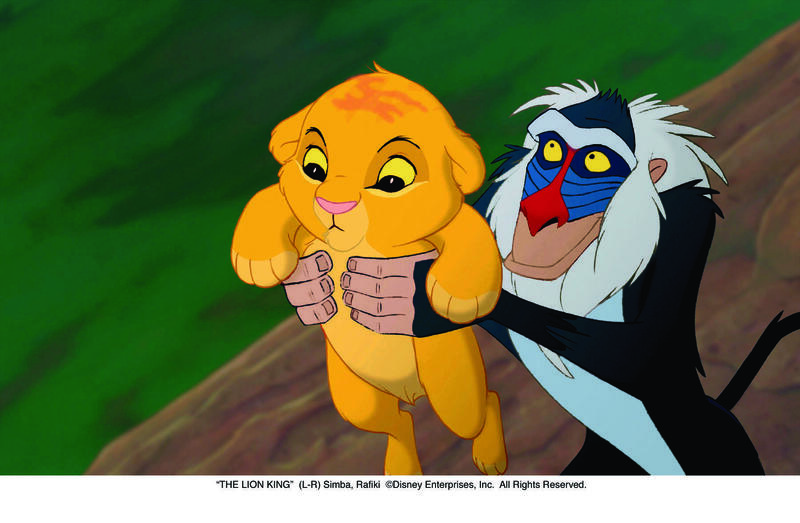 You'll definitely want to browse our guides to the coolest family movies on Netflix, the best '90s movies for kids, our favorite Disney movies on Netflix and—of course—the best family comedy movies for kids. 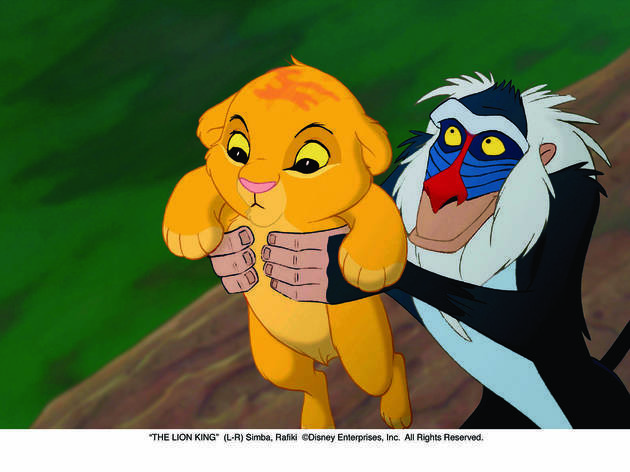 The first movie heartbreak in the lives of 90s kids was likely the first time they watched the Lion King, an equally heartbreaking and heartwarming tale of a young lion who needs to stand up and save his pride from the shadows and Scar, his evil uncle. With help from pals like Timon (meerkat) and Pumbaa (warthog), he’s able to overcome even the most difficult problems, but first, he’ll need to get over his own ego. Rated G.
The inaugural story in the Harry Potter series catapults fans into a magical realm that’s sprinkled with a dose of fantasy and a large helping of adventure. In this enchanting debut, young Harry learns he’s a wizard, leaves the dreadful Dursley family behind and escapes to Hogwarts School of Witchcraft and Wizardry. There, he meets new friends, masters his powers and learn that good always (well, mostly) triumphs over evil—all while the world he knows is totally turned upside down. Rated PG. You don't need to be a kid to enjoy George Lucas' old-fashioned tale of outer-space adventure, as the global cult of adult wanna-be Jedis and devoted Droidaphiles can attest. 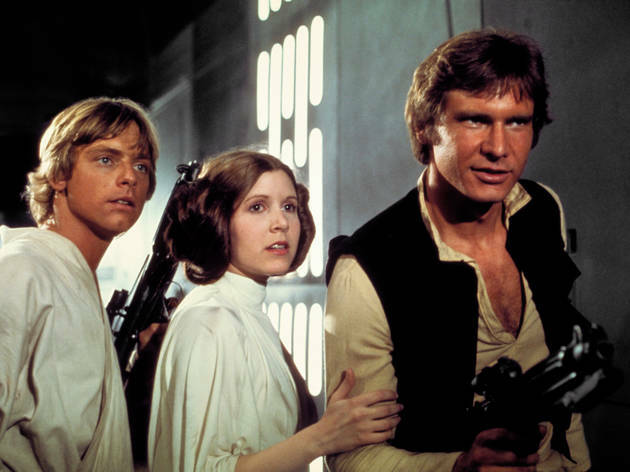 Lucas, though, has readily admitted that he was trying to capture the thrill he had as a child watching Saturday-afternoon matinees, and that's the real target audience for this beloved pop-culture totem: a 7–10 year-old who gets to experience a hero's journey from boyhood to manhood for the very first time. 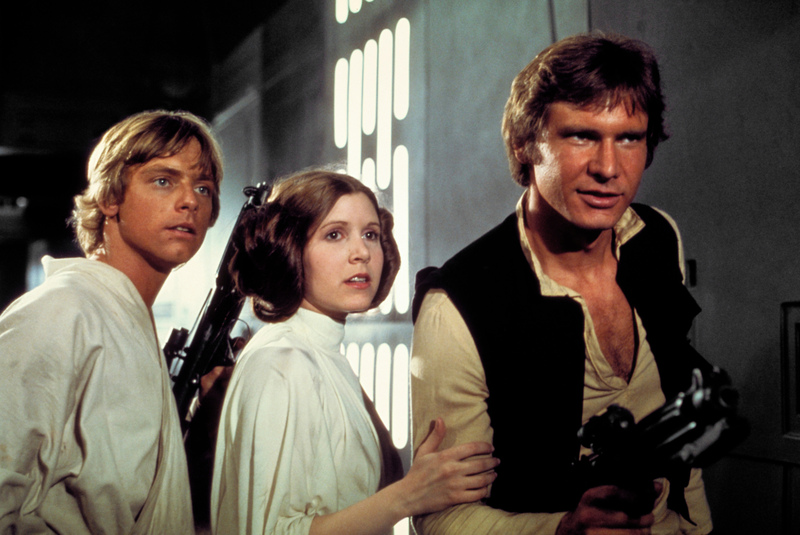 The rest of us are simply re-experiencing our nostalgia for that first time we saw it, which is why seeing the first Star Wars with your own child is such a rewarding experience. The second that opening symphonic blast comes on, we're all 7 years old, sitting in the dark and bonding over the knowledge that the force is within each and every one of us. Rated PG. When a neighborhood child learns that his family may lose their home to foreclosure, he and his tight-knit group of pals set off on a dangerous journey for One-Eyed Willie’s treasure, ancient loot they believe will save the day. One thing’s for sure: Goonies never say die—even when the Fratellis crime family is hot on their trail. 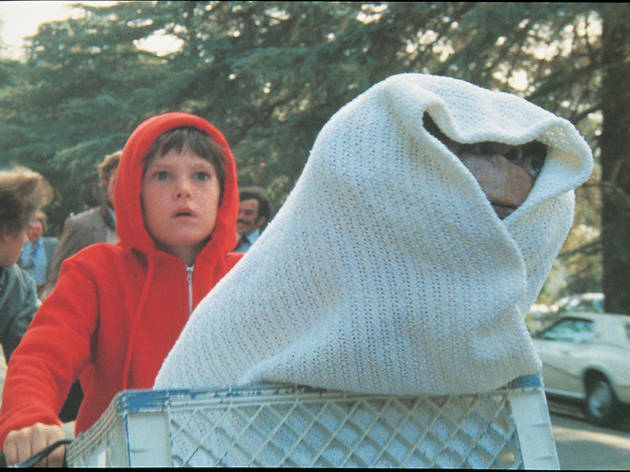 This classic Spielberg flick is the epitome of ’80s greatness that all generations must experience. 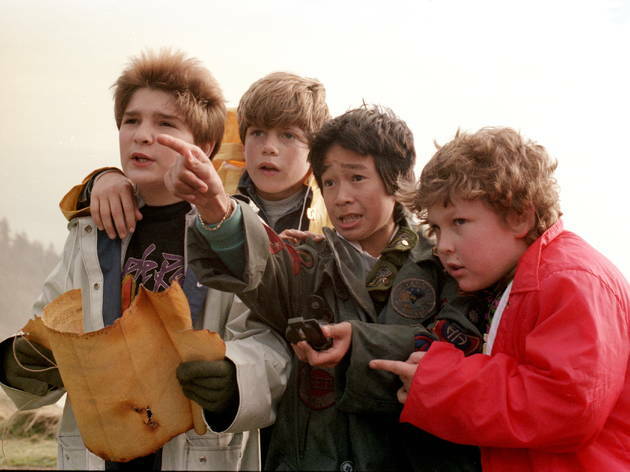 Goonies never say die, so it comes as no surprise that this lovable group of buddies won’t give up without a fight. Their homes face foreclosure, but one clever member of the pack has a plan: Search for One-Eyed Willie’s treasure so that they won’t have to leave. The quest starts out innocently enough, but before you know it, the boys are in quite a mess of trouble—especially when the Fratelli crime family—two brothers and their tough mama—are hot on their case. Spielberg is a master of his craft, and this adventurous, coming-of-age ‘80s flick never goes out of style, no matter the year. Rated PG. The MacAllisters are thrilled about their vacation...there’s just one tiny problem: Kevin. When the youngster is left home while the rest of the family is away, he’s fully indulging in sweet treats, inappropriate movies and total control over the tremendous house. To top it off, it’s the holiday season, so it doesn’t get much better than this. However, when two burglars set their sights on the MacAllister abode, it’s up to Kevin to fend for himself. Fortunately for this kiddo, these two bandits aren’t terribly clever. Rated PG. 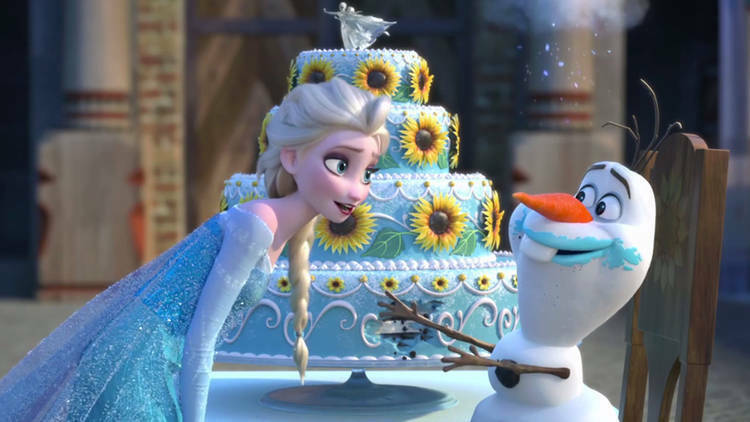 Ushering in a new generation of Disney princesses, fair Elsa (voiced by Idina Menzel), attempts to hide a very magical secret: She can make snow and ice! 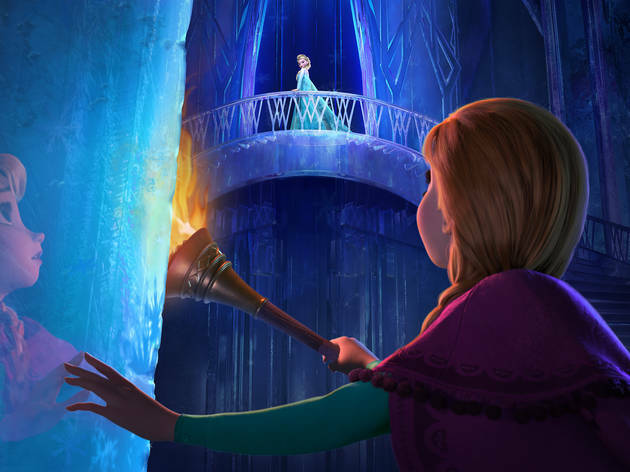 Though she’s able to keep her powers under wraps until young adulthood, she accidentally traps the kingdom Arendelle in a never-ending winter. Oops. Her little sister Anna attempts to make things right again by embarking on an epic quest to help her, meeting a handy peasant Kristoff, his reindeer Sven and a talking snowman along the way. 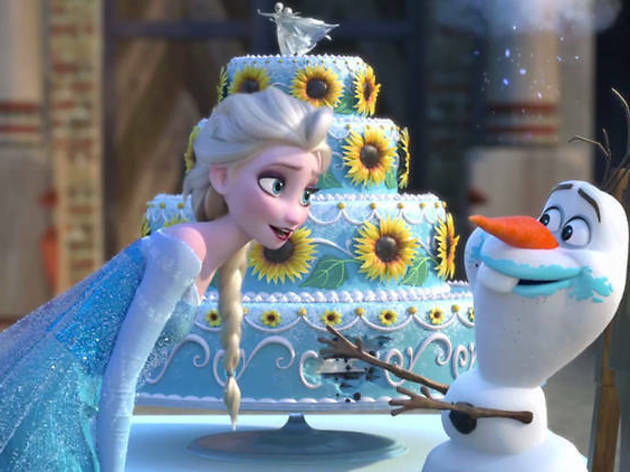 Kids will have their eyes glued to the screen as the story unfolds—after all, the cold never bothered Elsa anyway. Will she return? Will the kingdom ever unfreeze? 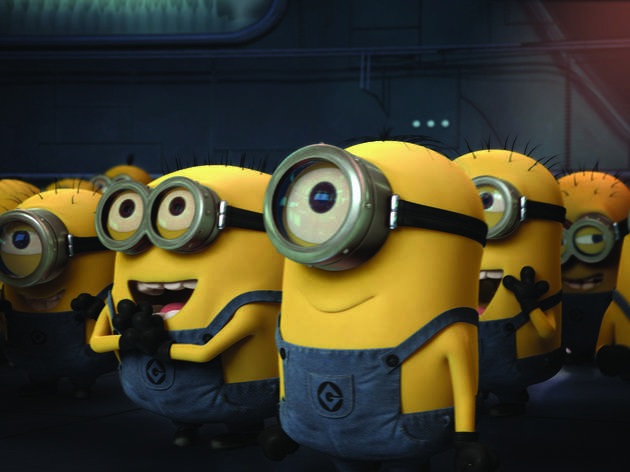 Buckle up for an action-packed adventure, and be prepared for an ongoing family singalong. 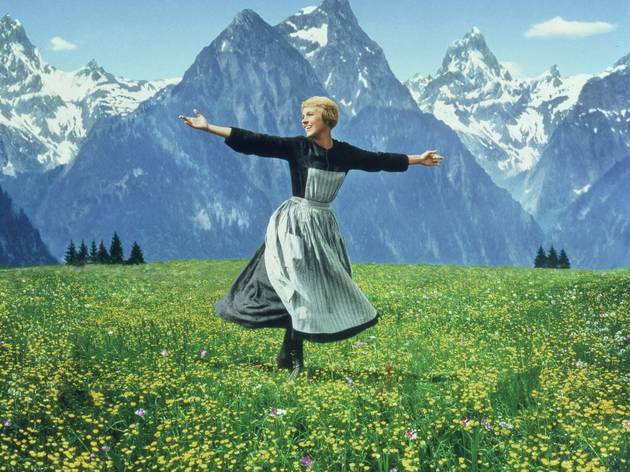 You’ve probably heard “Let It Go” a few thousand times by now! Rated PG. Protective parents will totally relate to clownfish Marlin, a relatively new dad who just wants his only surviving child to be safe. 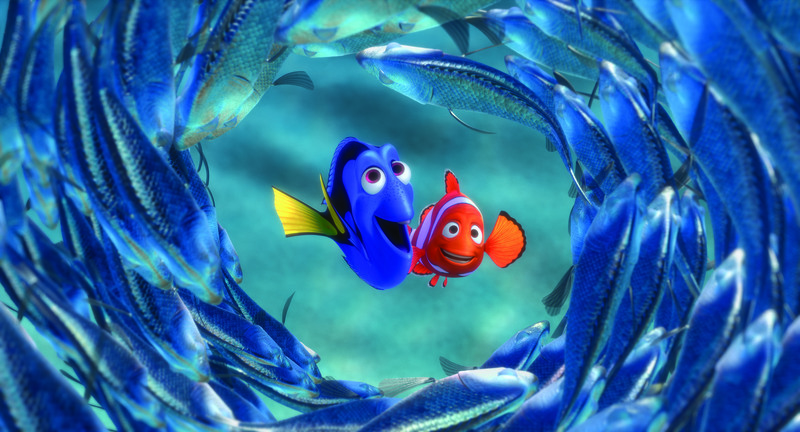 Unfortunately, Nemo—like most youngsters—is a tad defiant and breaks his dad’s rules. 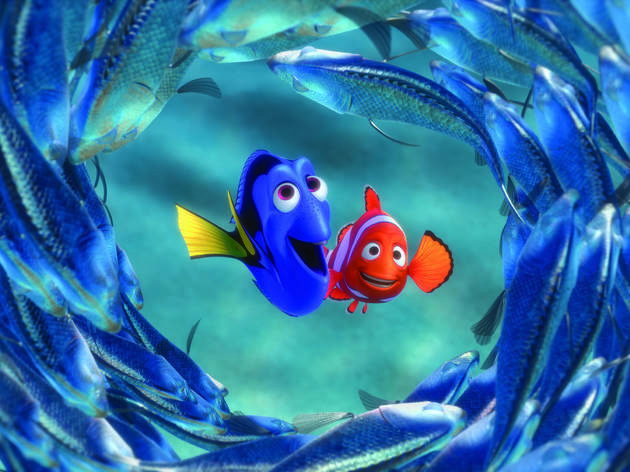 When he ultimately goes missing, Marlin heads out on an epic journey across the ocean, meeting Dory (a forgetful Regal Blue Tang), uber-chill sea turtles and other interesting creatures along the way. PSA: Listen to your parents, kids! Rated PG. 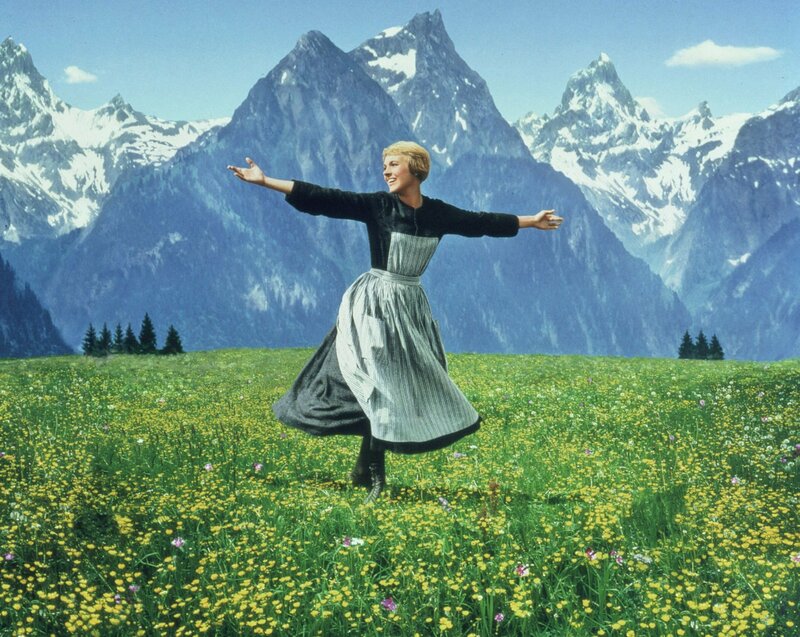 As the camera swoops down from the heavens toward a young woman running through a field, this angel opens her mouth to exclaim "The hills are a-liiii-ve..."; from that moment on, Robert Wise's Oscar-winning musical has you right in its grasp. 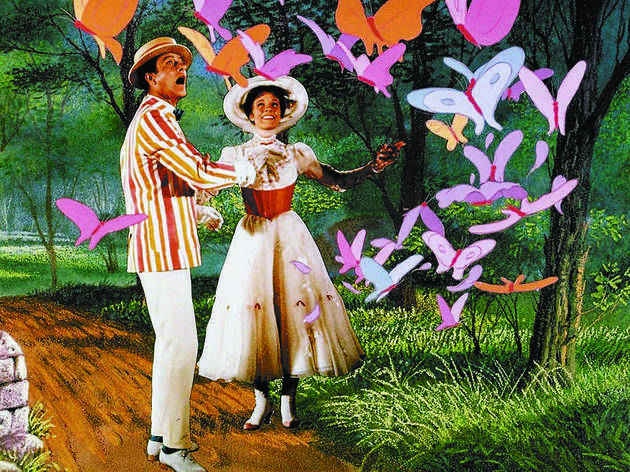 Julie Andrews' star was born as soon as she trilled the first line of Rodgers and Hammerstein's score, but this classic really is an ensemble affair: Every one of the von Trapps—from dear old dad Christopher Plummer to 16-going-on-17-year-old Charmian Carr and the youngest, 5-year-old Kym Karath—pitch in to this juggernaut of sing-along fun. To hear the cast belt out staples like "So Long, Farewell" and "Do-Re-Mi," and watch a family band together to prove that it takes more than Nazis to break up a tight-knit clan, is to understand why, generation after generation, this movie continues to be one of our favorite things. 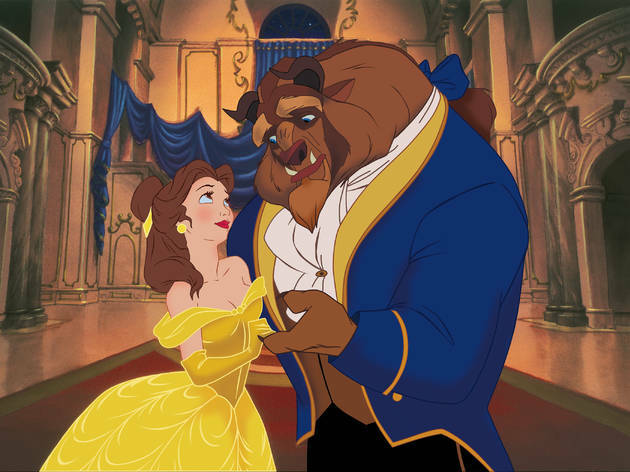 Rated G.
While Emma Watson’s recent live-action Beauty and the Beast remake was certainly spot-on, we hold a special place in our hearts for the original “tale as old as time”—the 1991 Disney movie. Belle, a kind, beautiful bookworm, is unimpressed by the come-ons of the town’s pompous alpha-male Gaston and is generally at odds with most of the village. When her inventor father goes missing (and no one does a thing about it), she heads into the (quite scary) woods to find him, getting herself deeper into trouble than she intended. Rated G.
Gru has no time to waste. The wicked schemer is planning to take over the moon (with the help of his yellow minions). All goes according to plan until three orphaned sisters come into his life. Soon, the evil mastermind gets used to a new title: dad. How will these little ladies affect his hopes for his intergalactic takeover? Rated PG. Christmas is a time for family, celebration…and putting together an epic wish-list for Santa. We all have that one toy we couldn’t wait to find under the tree on December 25. For young Ralphie, his dream is to get his hands on a Red Ryder B.B. Gun. 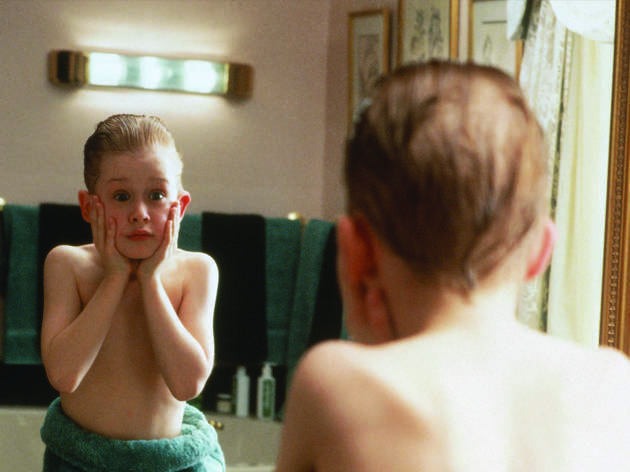 Naturally, adults give young Ralphie plenty of warnings along the way over his coveted gift. 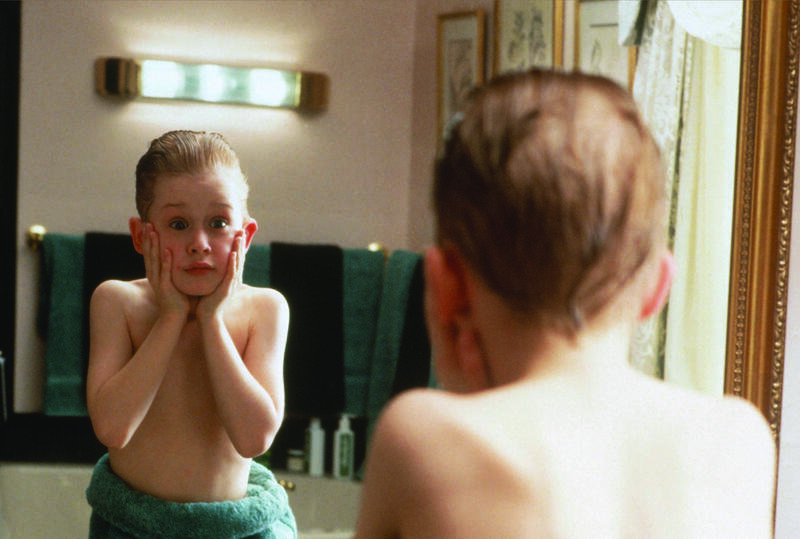 Is it really the holiday season if you haven’t heard “You’ll shoot your eye out kid!” at least a dozen times? This Christmas classic is one that begs to be repeated year after year (and trust us, you’re sure to catch it on TV plenty of times). Rated PG. 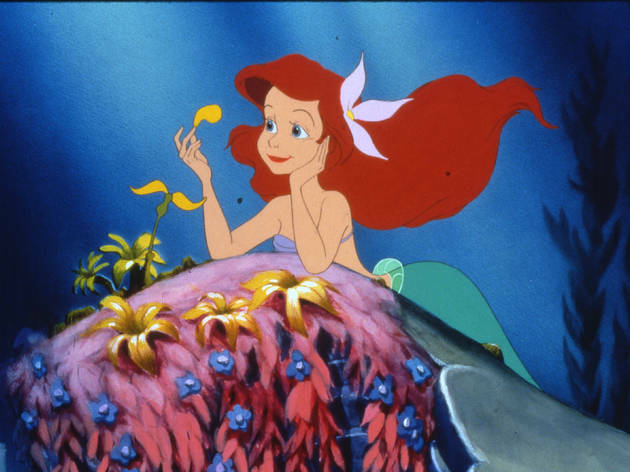 Ariel longs for life on land and a pair of legs to keep her moving, but the young mermaid is stuck under the sea. When the wicked octopus Ursula discovers Ariel’s desires, she uses them to her advantage. She makes a deal with the young girl: In exchange for her gorgeous singing voice, Ursula will grant Ariel legs and the opportunity to whisk Prince Eric off his feet. But there’s a catch—if he doesn’t plant one on her in three days, she’ll return under the sea, sans legs, where she’ll serve as Ursula’s slave. The pressure’s on in this “whole new world!” Rated G.
You may have heard “Wax on, wax off” a hundred times by now—that’s about the amount of times we could watch this movie in a row without tiring. 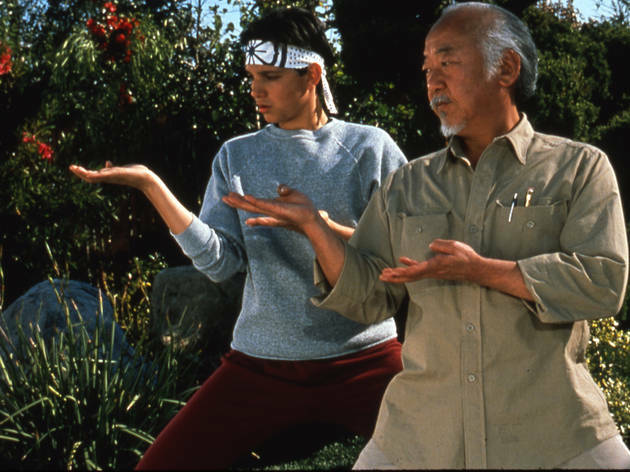 Young Danny finds himself to be the target of a group of bullies, but with repairman (and martial arts master) Mr. Miyagi’s help, he trains to master martial arts and eventually compete and defend himself against his foes. Rated PG. Based on the trilogy YA novels of the same name, Katniss Everdeen takes her sister’s place in the Hunger Games, a televised fight to the death with children from each of Panem’s 12 districts. The odds are stacked against her, but she’s determined to come out of the competition alive to protect her family and revolt against the Capitol’s cruel government. Rated PG-13. Jack Skellington is all out of sorts. In this beloved Tim Burton film, our lanky and lovable pumpkin king has had his fair share of shrieks and screams that come with Halloween. Once he indulges in the yuletide spirit, he sets his sights on Christmas, a completely foreign concept he cannot resist. He tries to channel the joy of jolly ‘ol Saint Nick, but his plans go terribly awry. 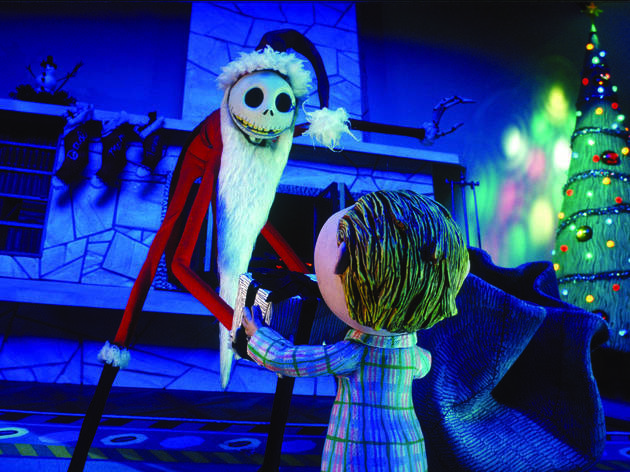 Will the pumpkin king find his place among the proper holidays? Rated PG. Husband and wife Miranda and Daniel are at odds: The light-hearted father (Robin Williams) has become too much for his super-serious counterpart (Sally Field). When a divorce comes between Daniel and his three kids, he gets quite an idea. With the help of his creative brother, the distressed dad disguises himself as a British nanny in order to spend more time with his family. 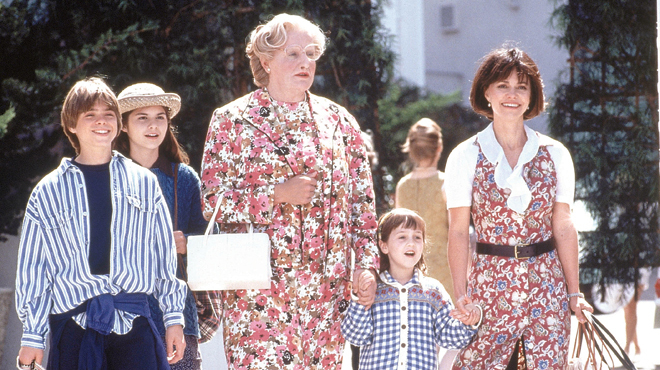 Naturally, it isn’t all smooth sailing when Mrs. Doubtfire goes undercover. Expect a few tears along the way, too. Rated PG-13. This coming-of-age tale is a true classic—after all, what’s more American than baseball? Quirky youngster Scottie Smalls (Thomas Guiry) moves to a new neighborhood and manages to make some friends at a local baseball diamond. Together, they get themselves into tons of trouble (and must even band together to retrieve a piece of precious baseball memorabilia). Rated PG. When two siblings discover a magical board game—Jumanji—in the attic of an old mansion, they get wayyyyy more than they bargained for—including a jungle full of wild creatures, a crazy game hunter and even Alan (Robin Williams), a boy (now a man) who got trapped in the game during his childhood. 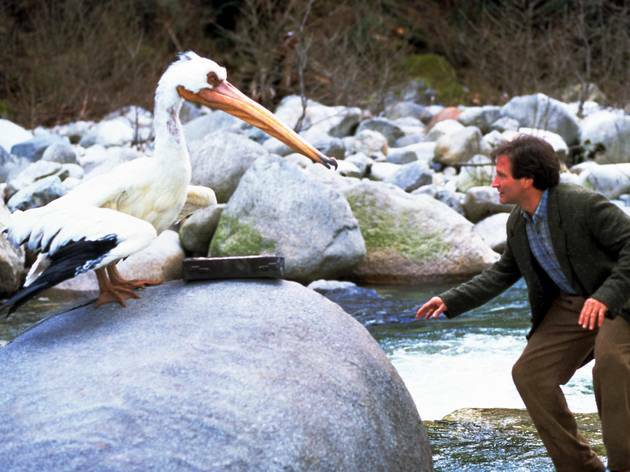 Can the kids win Jumanji and free Alan for good? 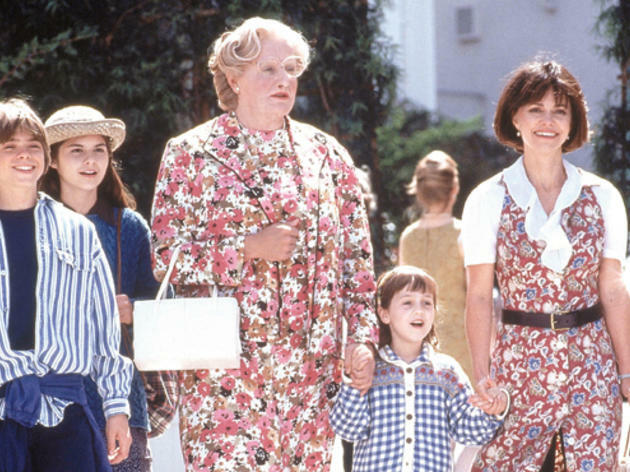 Rated PG..
Roald Dahl’s sweet bookworm Matilda comes to life in this go-to ’90s movie. 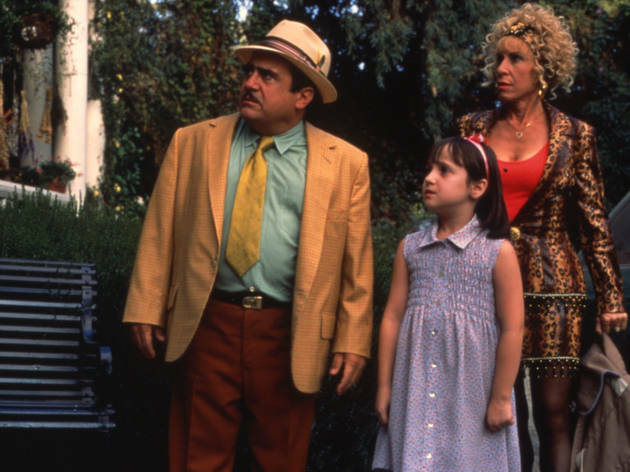 Matilda (Mara Wilson) is discouraged from reading—her only escape in a house where she isn’t wanted or encouraged. Though her school is horrible—just imagine the worst principal you’ve ever met—she seeks refuge in learning and in the kindness of her teacher Miss Honey, eventually showing ‘em all what she’s really made of (telekinetic powers and all!). Rated PG. Hiccup isn’t like the rest of the Viking clan. He aspires to be like his dragon-hunting father, but when he befriends the Night Fury dragon, he learns a thing or two about this feared creature. And surprisingly, there’s a bigger issue at hand for vikings and dragons alike. Rated PG. 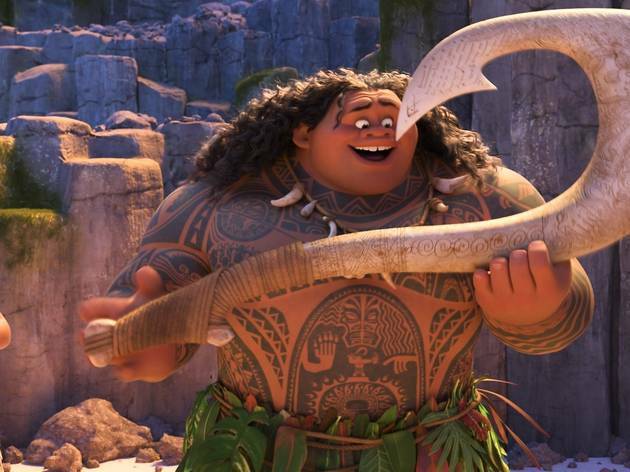 Disney’s latest princess story takes viewers to Ancient Polynesia where Moana, the daughter of her tribe’s chief, is faced with the task of braving the ocean in order to save her island from a curse. She teams up with legendary demigod Maui in order to confront the creatures that lurk in the seas and fulfill her dangerous quest. She eventually discovers that true north rests within herself. Rated PG. 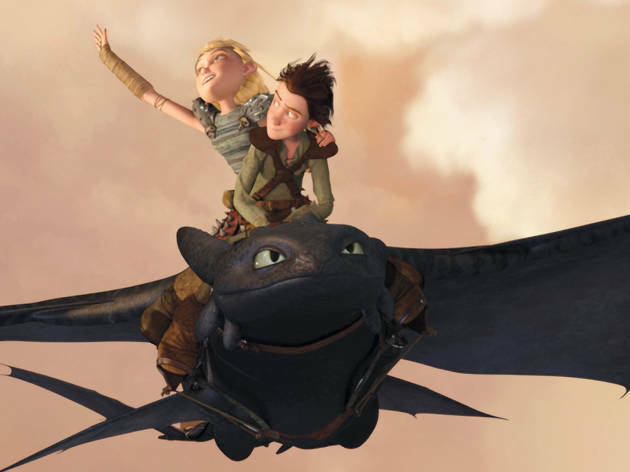 You’ll have no reservations about flying away with Carl and Russell in this irresistible animated flick. The grumpy elderly balloon salesman, Carl, manages to lift his house off the ground, something he’s been dying to do for years. But what happens when his goals are taken to new heights...with a cute little boy scout stowaway on board? Rated PG. 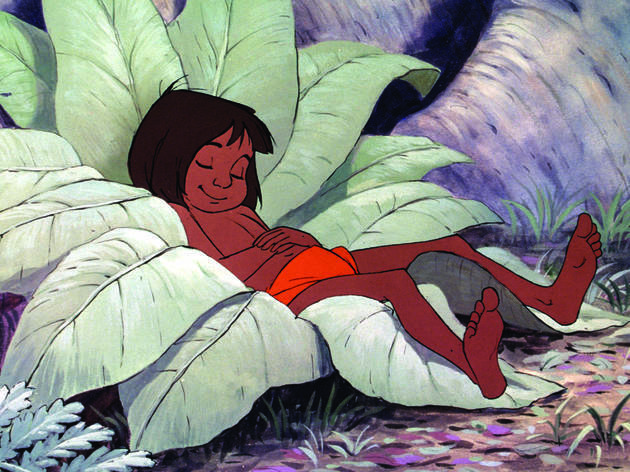 In this Disney classic, Mowgli, a young boy who was raised by a pack of wolves, develops a sense of curiosity that may prove to be dangerous to himself and his jungle family. Wise panther Bagheera attempts to get Mowgli back with his own kind, but the boy's stubborn ways are encouraged by Baloo, the carefree bear. Will he make it to the man-village before the jungle's feared predator, Shere Khan, tracks him down? Rated G.
Red-headed orphan Annie lives with other little girls in terrible conditions under the control of neglectful and vindictive Miss Hannigan, but the pint-sized optimist can’t be beaten down. When a wealthy businessman, Mr. Warbucks, agrees to foster an orphan to improve his public image, he is eventually won over by Annie’s charms. There’s trouble brewing, however, as Miss Hannigan and her seedy friends concoct a plan to get rich. Rated PG. 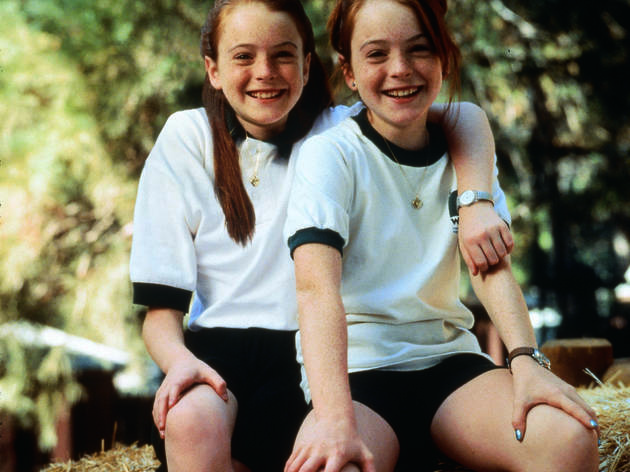 Annie and Hallie get sent to the same summer camp—and they simply can’t get along. After arguments, pranks and other scuffles, the two are forced to share the same bunk—and it turned out to be (possibly) one of the most serendipitous moments in ‘90s movie history. When they discover that they’re twins and were separated at birth, they devise a “brilliant beyond brilliant” plan to switch places and potentially bring their parents back together again. Rated PG. Loosely based on Frances Hodgson Burnett’s famous novel, the film tells the story of an imaginative little girl named Sara Crewe who feels that all girls are princesses. When her father heads off to war, he sends her to the same New York boarding school her late mother attended; even through a series of unfortunate events, Sara remains optimistic and manages to inspire all the kids (even overcoming the evil headmistress Miss Minchin). Rated G.
When Buddy the Elf learns he was adopted by Santa’s helpers in the North Pole, he travels to the big city in search of his real father. Except his father has never known of his existence and Buddy has no idea how to properly act within society. Holiday hijinks ensue when Santa needs help and it’s up to Buddy and crowd-sourced holiday spirit to save Christmas. Rated PG. Take a trip to Louisiana with this children’s book-inspired story, where smooched amphibians turn into royalty. The bayou comes to life with bright colors, moody environments, mystical interference and top-notch original music. 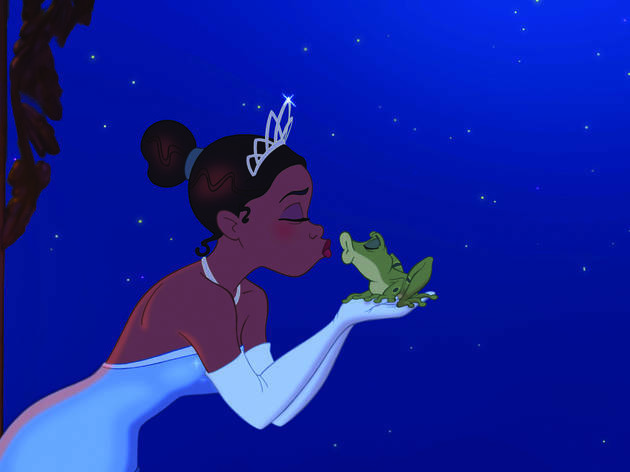 The Princess and the Frog introduces a long-awaited African American princess who’s no damsel in distress, and you’ll be cheering for her to accomplish her biggest dream—opening a restaurant—the entire time. 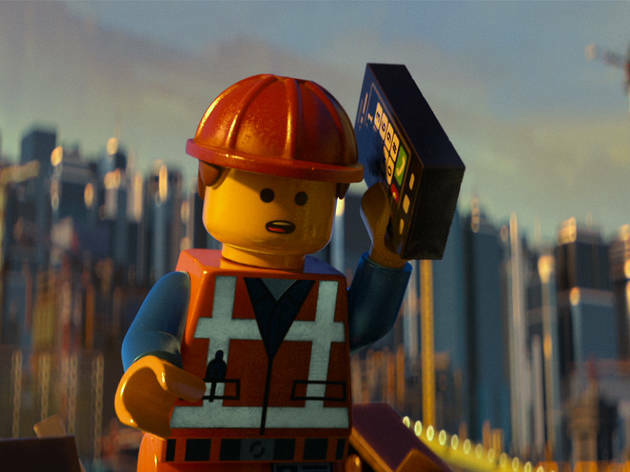 Rated G.
The world’s first-ever full-length LEGO adventure shares the tale of a superweapon called the Kragle; evil Lord Business (yep, you heard us) stole the coveted weapon from good wizard Vitruvius, the Kragle’s protector! There’s only one thing to stop him: the “Piece of Resistance,” a brick capable of stopping the Kragle. The film boasts a script that’ll make both parents and kids laugh, plus it has a star-studded cast—you’ll hear the voices of Chris Pratt, Will Ferrell, Elizabeth Banks, Will Arnett, Morgan Freeman, Liam Neeson and more! Rated PG. The real-life mystery of the massacred Romanov royal family and the disappearance of the youngest princess Anastasia plays out in this animated film. We follow orphan Anya as she teams up with Dimitri and Vladimir in search for her real family, which she believes to be in Paris. Little does she know that the two con men have been holding auditions to fool the Dowager Empress and receive the reward money being offered to whomever can find and return her granddaughter home. Along the way, the trio encounter the curses of sorcerer Rasputin, whose hex against the Romanov family went unfinished with Anastasia’s survival, and viewers find a new villain’s sidekick to love in Bartok the albino bat. 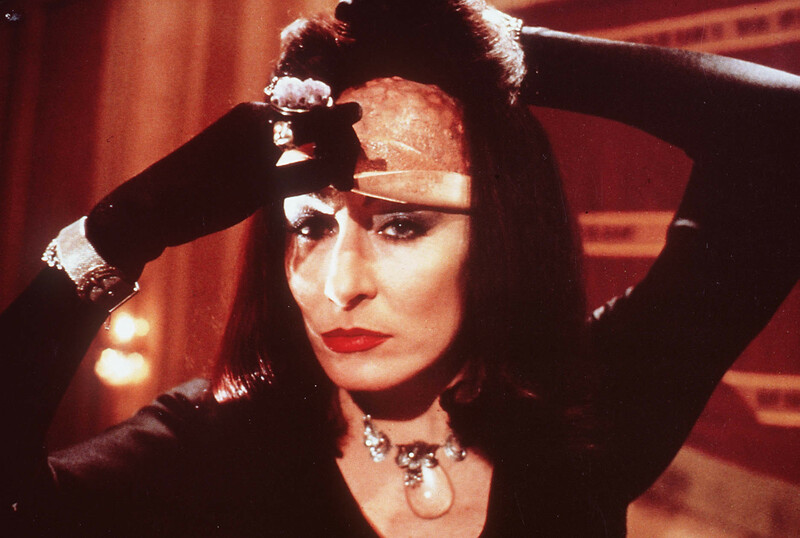 Rated G.
We’re not going to lie, The Witches does not come without scares (director Nicholas Roeg is also the man behind terrifying ’70s flick, Don’t Look Now). But this British gem, based on the gnarly Roald Dahl book of the same name, manages the balance between frights, thrills and laughs brilliantly. 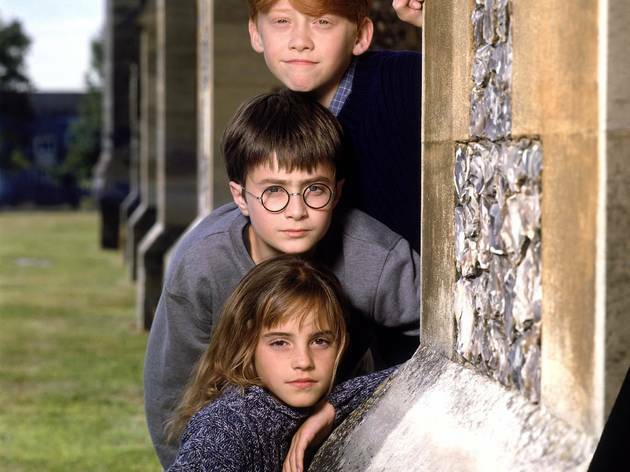 The story is a dark twist on Potterverse: witches live amongst us, but none of them are kind. And when a young boy and his grandmother tumble across a convention of witches while on a seaside holiday, hilarious chaos is unleashed. 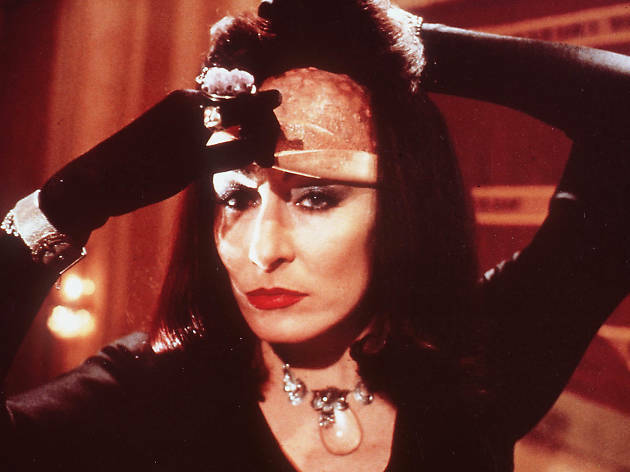 Angelica Huston chews the scenery like so much gum as the fabulously evil Grand High Witch, but the real star here is the makeup—you’ll wince when you see what lies beneath these witches’ human masks. Rated PG. Judy Hopps dreams of joining the police force and leaves her farm and family for the bustling metropolis Zootopia to achieve this goal. As the first rabbit in the crew, she isn’t taken seriously by her fellow police officers. Tired of writing up parking violations, Judy decides to take on a missing persons case to prove herself. When she enlists the unwilling help of con fox Nick Wilde, the pair find themselves going down a rabbit hole of clues, scandals and close calls. Rated PG. Jim Henson’s cult classic centers on a dark premise: a teenage girl (yes, that’s a very young Jennifer Connelly) is forced to enter a fantasy world and solve a wild labyrinth in order to rescue her baby brother, who’s been kidnapped and is being held by the Goblin King. 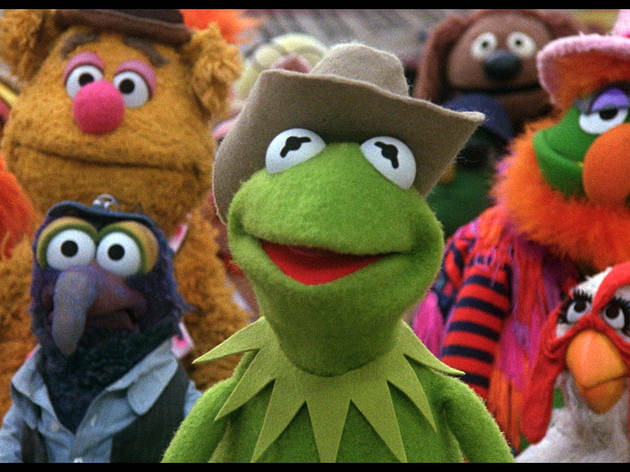 The plot, though, is really just for director Jim Henson to delight the audience with all manner of strange puppet creatures and musical numbers—the Goblin King is played, of course, by David Bowie, who takes over the movie at several points for some delicious musical interludes. The little ones will be singing “Magic Dance” for weeks. Rated PG. 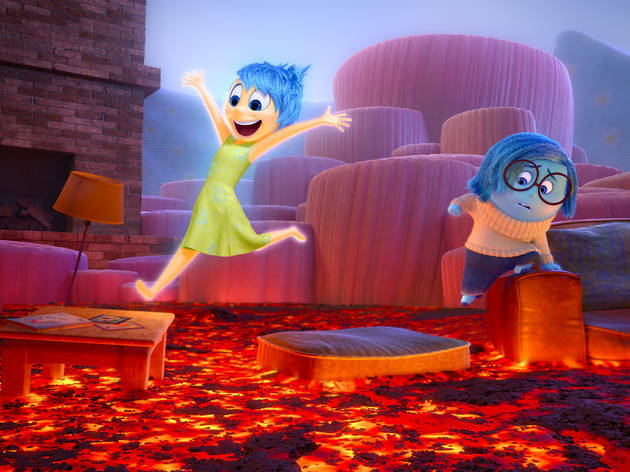 This family flick remains one of Pixar’s most creative storylines—prepare for a roller coaster of emotions! 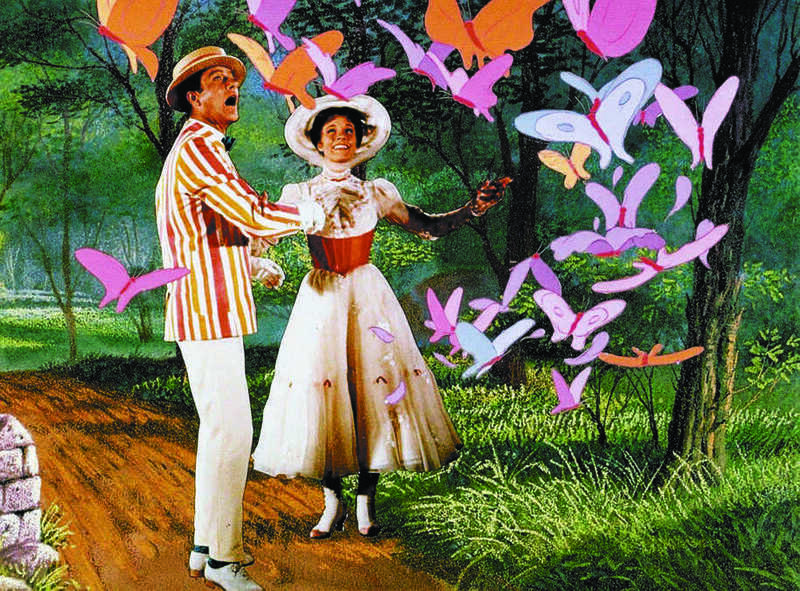 The key characters of this sweet movie are actually a little girl’s feelings—Disgust, Joy and Sadness, to name a few—and accompany her on an unexpected move from the Midwest to the West Coast. Which emotion will prevail? Rated PG. A magical tale for sweet-toothed kids, Willy Wonka & the Chocolate Factory tells the story of a little boy from a poor family and his dream—and eventual reality—of getting a peek inside Willy Wonka’s mysterious enterprise. 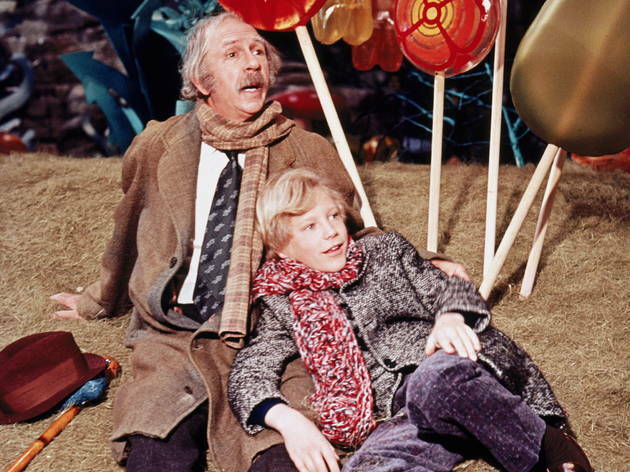 After several children find the elusive golden ticket inside their chocolate bars and win a tour of the factory, it turns out there’s something even bigger at stake. 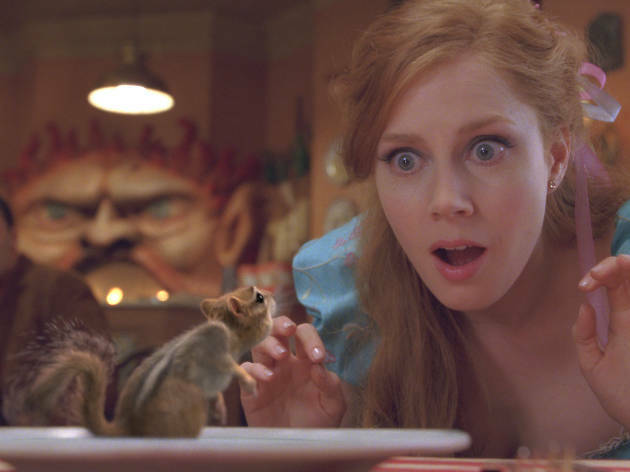 Rated G.
New York City is a fairytale for some, but certainly not for Princess Giselle (Amy Adams). When she’s whisked away to the Big Apple at the request of her love’s evil stepmother, everything goes awry. 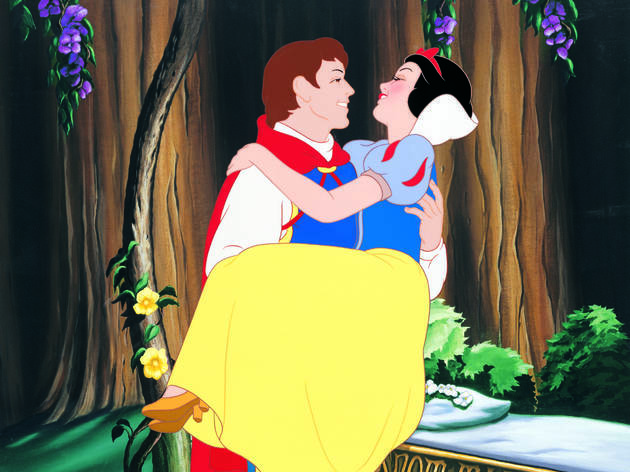 This was definitely not the happily-ever-after she had imagined. She’s no longer singing with her favorite little creatures, enjoying the bounce of her princess dresses and awaiting marriage to her beloved. In Manhattan, she’s battling roaches and overcrowded urban conditions. 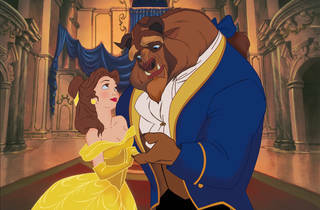 New York’s not for everyone, but will Princess Giselle find Gotham to be enchanted despite it all? Rated PG. 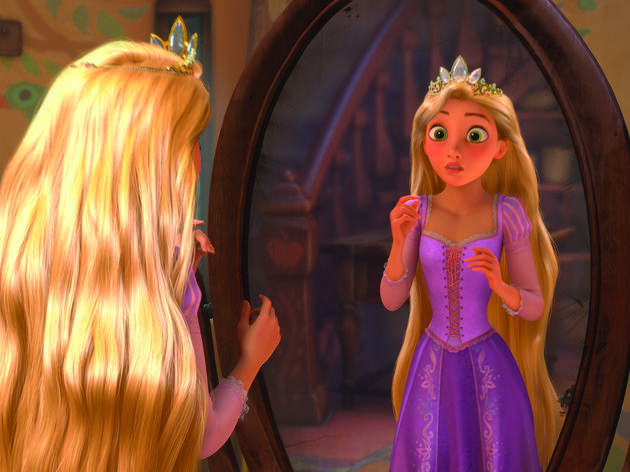 Consider this your ultimate guide to family movies on Netflix! We're here to tell you what's coming and going on your favorite on demand movie service every month, so check in regularly to get the scoop.